A chance meeting with Peter and his wife Sue who are staying here at Fraser Station tonight. 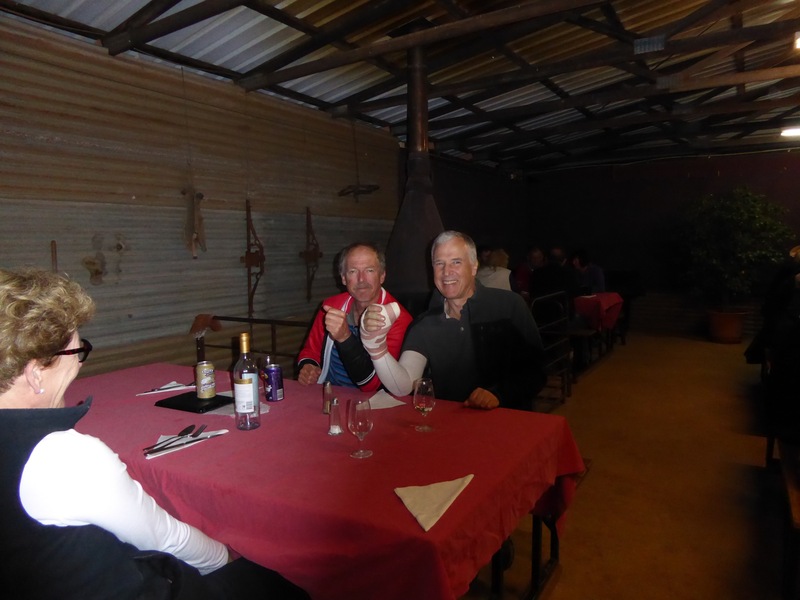 Peter was on a huge 2 month cycle adventure starting in Perth intending to go all the way to Brisbane. Unlike myself he was heading East and on Saturday 15 th August he was taken out by a road train early in the morning as he left here Heading towards Balladonia. The driver claimed he did not see Peter – maybe sunstrike. There was ample room as no other vehicles were involved – just the truck and Peter His injuries were extreme – major multiple breaks of the upper arm , now has a bucket of bolts and titanium ,and huge damage around his thumb area . They live in Perth and today they have been revisiting the scene of this near tragedy to retrieve the bike and other personal gear still here. With the Aussy adversarial legal system the path ahead to get some sensible compensation is complex and uncertain .NZ have this one covered well with our ACC . The road train driver heard the bang – probably as he broke Peters arm – and stopped and in his shock he managed to somehow cut his knee needing 20 stitches .Think they shared the ambulance. Life’s a lottery – never know what’s round the corner! Peter now begins a long recovery, still managing significant pain.